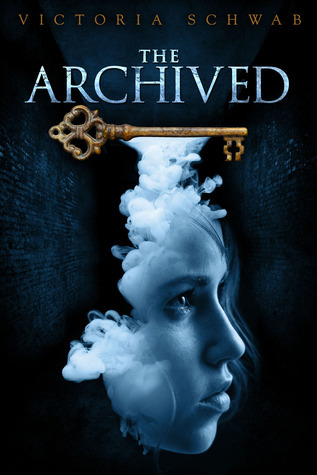 Why did it take me so long to read The Archived? I finished it a few minutes ago, and I want to re-read it again. This book is so different, and the writing was amazing! Ah, I need the sequel in my life right now! The Archived brought out emotions in me that made me put the book aside for a minute just to take a break. This usually happened while McKenzie was in the Narrows. Most of the time the Histories were frightened and that made me feel hopeless for them and for McKenzie. Imagine waking up after you die and not knowing where you are. Imagine having to return these copies of human beings to the place they just tried to escape. I was conflicted. I knew they weren’t humans, but I still felt for them. This part of the book was dark, powerful, and it made me believe this place was real. The thing about this book that I loved the most was that I didn’t know what to expect. There were so many things happening in The Archived that I thought I was going to get lost at some point. That never happened. Instead, Victoria Schwab gave us a beautifully written book full of suspense and secrets that you will never see coming. Also, the little bit of romance the book has left me in shock. It was like a surprise kick to the stomach. It hurt, and then it left me breathless and then it hurt a little bit more, but I won't tell you why. I really want to tell you what this is all about, but I hate spoilers! I connected with McKenzie and the other characters so much that I wasn’t just a reader looking from the outside in, I was them. I put myself in their shoes, and I think that’s why this book made me feel a little bit emotional sometimes. The way Schwab described the Archive, the Narrows and the Coronado, which is where McKenzie moved into, was so vivid and mysterious. I could see these places in my mind. I walked the Coronado's corridors, I went to the Coronado’s roof and touched the gargoyles, and I saw the characters, and I know what they look like. Ah, this book is like a drug. I was addicted to it, and right now I’m having really bad withdrawals. Like I said the sequel needs to be in my hands ASAP because gosh, I need it really bad. Omg right? She's a fantastic author. In Vicious - dunno if you read it - but she had a timeline that jumped all over the place which could have been a complete mess but it was incredible and I loved how it brought the story to life. I have been meaning to read this one ever since and it sounds like it's just as well crafted with equally awesome characters! She did villains especially well in Vicious! YES. I guessed some of the things that would happen, but I liked not knowing exactly where the story was going next, and her writing is amazing. I'm so glad you finally got around to reading it and ended up loving, too! Excited for the next book.